Cities: Capital: Rome (pop. 2.8 million, 3.7 million metro). Other cities — Milan (1.3 million, 3.9 metro), Naples (975,000, 3 million metro), Turin (900,000, 2.1 million metro). Nationality: Noun and adjective — Italian(s). Population (January 2011 est. ): 60.6 million. Annual population growth rate (2010 est. ): 0.04%, mostly due to immigration. Education: Years compulsory: 16. Literacy — 98%. Health: Infant mortality rate: 3.7/1,000 live births. Life expectancy — 79.1 years for men; 84.3 years for women. Work force (25.01 million, 2010): Services — 67%; industry and commerce — 29%; agriculture — 4%. Unemployment rate is 8.5%. Branches: Executive: president (chief of state), Council of Ministers (cabinet) headed by the president of the council (prime minister). Legislative — bicameral parliament: 630-member Chamber of Deputies, 315-member Senate (plus a varying number of Senators "for life"). Judicial — independent constitutional court and lower magistracy. Political parties: People of Liberty, Democratic Party, Northern League, Future and Liberty, Italy of Values, Union of the Center, Movement for Autonomy. Suffrage: Vote for House is universal over 18; vote for Senate is universal over 25. GDP (purchasing power parity, 2011 est. ): $1.63 trillion. GDP per capita (purchasing power parity, 2010): $32,120. GDP growth: 0.6% (2011); 1.2% (2010); -5.2% (2009); -1.3% (2008); 1.5% (2007); 2.0% (2006); 0.7% (2005); 1.5% (2004), 0.0% (2003 est. ); 0.5% (2002); 1.8% (2001). Agriculture: Products: wheat, rice, grapes, olives, citrus fruits, potatoes, sugar beets, soybeans, beef, dairy products. Industry: Types: tourism, machinery, iron and steel, chemicals, food processing, textiles, motor vehicles, clothing, footwear, ceramics. Trade: Exports (2010): $447.2 billion f.o.b. : mechanical products, textiles and apparel, transportation equipment, metal products, chemical products, food and agricultural products. Partners (2009) — Germany 12.7%, France 11.6%, U.S. 5.9%, Spain 5.7%, U.K. 5.1%. Imports (2010) — $483 billion c.i.f. : machinery and transport equipment, foodstuffs, ferrous and nonferrous metals, wool, cotton, energy products. Partners (2008) — Germany 16.7%, France 8.9%, China 6.5%, Netherlands 5.7%, Spain 4.4%, Russia 4.1%, Belgium 4.0%. Italy is largely homogeneous linguistically and religiously but is diverse culturally, economically, and politically. Italy has the fifth-highest population density in Europe — about 200 persons per square kilometer (about 500 per sq. mi.). Minority groups are small, the largest being the German-speaking people of Bolzano Province and the Slovenes around Trieste. There are also small communities of Albanian, Greek, Ladino, and French origin. Immigration has increased in recent years; however, the Italian population is declining overall due to low birth rates. Although Roman Catholicism is the majority religion — 85% of native-born citizens are nominally Catholic — the constitution provides for freedom of religion. Greeks settled in the southern tip of the Italian Peninsula in the eighth and seventh centuries B.C. ; Etruscans, Romans, and others inhabited the central and northern mainland. The peninsula was subsequently unified under the Roman Republic. The neighboring islands came under Roman control by the third century B.C. ; by the first century A.D., the Roman Empire effectively dominated the Mediterranean world. After the collapse of the Roman Empire in the West in the fifth century A.D., the peninsula and islands were subjected to a series of invasions and lost political unity. Italy became an oft-changing succession of small states, principalities, and kingdoms, which fought among themselves and were subject to ambitions of foreign powers. Popes of Rome ruled central Italy; rivalries between the popes and the Holy Roman Emperors, who claimed Italy as their domain, often made the peninsula a battleground. Beginning in the 11th century, the commercial prosperity of northern and central Italian cities, combined with the influence of the Renaissance, somewhat mitigated the effects of these medieval political rivalries. Although Italy declined after the 16th century, the Renaissance had strengthened the idea of a single Italian nationality. By the early 19th century, a nationalist movement developed and led to the reunification of Italy — except for Rome — in the 1860s. In 1861, Victor Emmanuel II of the House of Savoy was proclaimed King of Italy. Rome was incorporated in 1870. From 1870 until 1922, Italy was a constitutional monarchy with a parliament elected under limited suffrage. Italy allied with Germany and declared war on the United Kingdom and France in 1940. In 1941, Italy — with the other Axis powers, Germany and Japan — declared war on the United States and the Soviet Union. Following the Allied invasion of Sicily in 1943, the King dismissed Mussolini and appointed Marshal Pietro Badoglio as Premier. The Badoglio government declared war on Germany, which quickly occupied most of the country and freed Mussolini, who led a brief-lived regime in the north. An anti-fascist popular resistance movement grew during the last 2 years of the war, harassing German forces before they were driven out by Allied forces in April 1945. A 1946 plebiscite ended the monarchy, and a constituent assembly was elected to draw up plans for the republic. 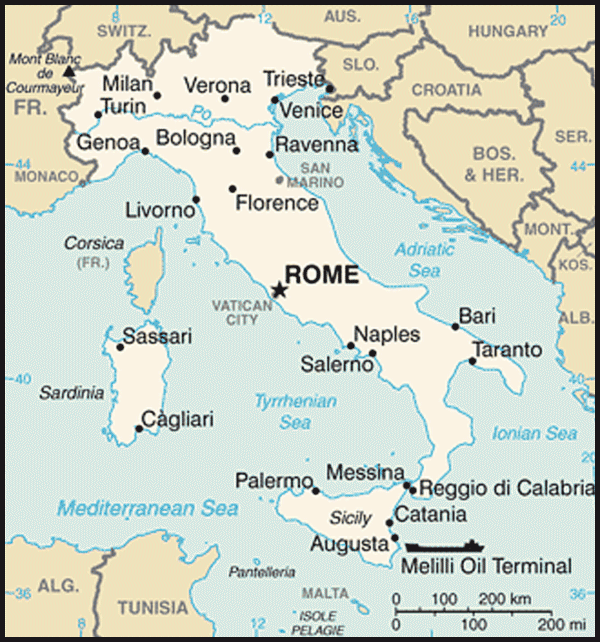 The Roman Catholic Church's status in Italy has been determined, since its temporal powers ended in 1870, by a series of accords with the Italian Government. Under the Lateran Pacts of 1929, which were confirmed by the present constitution, Vatican City is recognized by Italy as an independent, sovereign entity. While preserving that recognition, in 1984, Italy and the Vatican updated several provisions of the 1929 accords. Included was the end of Roman Catholicism as Italy's formal state religion. Europe's Renaissance period began in Italy during the 14th and 15th centuries. Literary achievements — such as the poetry of Petrarch, Tasso, and Ariosto and the prose of Boccaccio, Machiavelli, and Castiglione — exerted a tremendous and lasting influence on the subsequent development of Western civilization, as did the painting, sculpture, and architecture contributed by giants such as da Vinci, Raphael, Botticelli, Fra Angelico, and Michelangelo. Italy has been a democratic republic since June 2, 1946, when the monarchy was abolished by popular referendum. The constitution came into force on January 1, 1948. The Italian state is centralized. The prefect of each of the provinces is appointed by and answerable to the central government. In addition to the provinces, the constitution provides for 20 regions with limited governing powers. Five regions — Sardinia, Sicily, Trentino-Alto Adige, Valle d'Aosta, and Friuli-Venezia Giulia — function with special autonomy statutes. The other 15 regions were established in 1970 and vote for regional "councils." The establishment of regional governments throughout Italy has brought some decentralization to the national governmental machinery, and recent governments have devolved further powers to the regions. Many regional governments, particularly in the north of Italy, are seeking additional powers. The 1948 constitution established a bicameral parliament (Chamber of Deputies and Senate), an independent judiciary, and an executive branch composed of a Council of Ministers (cabinet), headed by the president of the council (prime minister). The president of the republic is elected for 7 years by the parliament sitting jointly with a small number of regional delegates. The president nominates the prime minister, who chooses the other ministers. The Council of Ministers — in practice composed mostly of members of parliament — must retain the confidence of both houses. The houses of parliament are popularly and directly elected by a proportional representation system. Under 2005 legislation, the Chamber of Deputies has 630 members (12 of whom are elected by Italians abroad). In addition to 315 elected members (six of whom are elected by Italians abroad), the Senate includes former presidents and several other persons appointed for life according to special constitutional provisions. Both houses are elected for a maximum of 5 years, but either may be dissolved before the expiration of its normal term. Legislative bills may originate in either house and must be passed by a majority in both. The Italian judicial system is based on Roman law modified by the Napoleonic code and subsequent statutes. There is only partial judicial review of legislation in the American sense. A constitutional court, which passes on the constitutionality of laws, is a post-World War II innovation. Its powers and the volume and frequency of its decisions are not as extensive as those of the U.S. Supreme Court. Italy maintains an embassy (http://www.ambwashingtondc.esteri.it/ambasciata_washington) in the United States at 3000 Whitehaven Street, NW, Washington, DC 20008 (tel. 202-612-4400). The postwar period saw frequent government turnovers (more than 60 and counting), but the dominance of the Christian Democratic (DC) party — a broad group with both right-wing and left-wing factions — lent comparative stability to Italy's political scene. Major political parties, beset by scandal and loss of voter confidence, underwent far-reaching changes. New political forces and new alignments of power emerged in March 1994 national elections. The election saw a major turnover in the new parliament, with 452 out of 630 deputies and 213 out of 315 senators elected for the first time. The 1994 elections also swept media magnate Silvio Berlusconi — and his Freedom Pole coalition — into office as Prime Minister. Berlusconi, however, was forced to step down in January 1995 when one member of his coalition withdrew support. The Berlusconi government was succeeded by a technical government headed by Prime Minister Lamberto Dini, which fell in early 1996. New elections in 1996 brought a center-left coalition to government for the first time since the end of World War II. A series of center-left coalitions dominated Italy's political landscape between 1996 and 2001. In April 1996, national elections led to the victory of a center-left coalition (the Olive Tree) under the leadership of Romano Prodi. Prodi's government became the second-longest to stay in power before he narrowly lost a vote of confidence (by three votes) in October 1998. A new government was formed by Democratic Party of the Left leader and former-communist Massimo D'Alema. In April 2000, following a poor showing by his coalition in regional elections, D'Alema resigned. The succeeding center-left government, including most of the same parties, was headed by Giuliano Amato, who had previously served as Prime Minister in 1992-93. National elections held on May 13, 2001, returned Berlusconi to power at the head of the five-party center-right Freedom House coalition, comprising the prime minister's own party, Forza Italia, the National Alliance, the Northern League, the Christian Democratic Center, and the United Christian Democrats. This Berlusconi government served its entire term. In national elections held April 9-10, 2006, Romano Prodi's center-left Union coalition won a narrow victory over Berlusconi's Freedom House coalition. The Union coalition included the Democratic Party (born of the November 2007 fusion of the Democrats of the Left and the Daisy Party), UDEUR (Union of Democrats for Europe), Rose in the Fist (made up by Italian Social Democrats and Italian Radical Party), Communist Renewal, the Italian Communist Party, Italy of Values, and the Greens. In May 2006, the parliament elected Giorgio Napolitano as the Republic's President. President Napolitano formerly served as a lifetime senator, Minister of the Interior, and a member of the European Parliament as a member of center-left parties. President Napolitano's term ends in May 2013. The Senate, lower house, and regional representatives will vote to elect his successor. In January 2008, the Prodi government fell when small coalition partner UDEUR withdrew support. In February, the President dissolved parliament and Silvio Berlusconi returned to power after defeating former Rome Mayor Walter Veltroni by a comfortable margin in elections on April 13-14, 2008. Berlusconi's winning coalition was composed of the People of Liberty (a union of Forza Italia and National Alliance), the Northern League, and the Movement for Autonomy. Berlusconi was sworn in as Prime Minister on May 8. Veltroni resigned as leader of the opposition in February 2009. His deputy, Dario Franceschini, was elected new Democratic Party (PD) leader until party primary elections held in October 2009, when Pierluigi Bersani was elected PD national secretary. In April 2010, Gianfranco Fini, cofounder of the People of Liberty, and a number of adherents broke from it and established a new opposition party called Future and Liberty, weakening Berlusconi's coalition, which continued nevertheless to govern. In November 2011, escalating economic problems undermined the Berlusconi government, with severe debt and rising bond yields pressuring Italy's economy. Berlusconi announced that he would resign from his post when parliament passed an economic stability law that would enact the first tranche of austerity measures demanded by the European Union (EU). Parliament passed the stability law November 12 and Berlusconi stepped down later the same day. President Napolitano appointed former EU Commissioner Mario Monti as the new Prime Minister on November 13. Monti named a government of technocrats and embarked on a series of reform measures to revive Italy's stagnant economy. Italy's dramatic self-renewal transformed the political landscape between 1992 and 1997. Scandal investigations touched thousands of politicians, administrators, and businessmen; the shift from a proportional to majoritarian voting system also altered the political landscape. Party changes were sweeping. The Christian Democratic Party dissolved; the Italian People's Party and the Christian Democratic Center emerged. Other major parties, such as the Socialists, saw support plummet. A new populist and free-market oriented movement, Forza Italia, gained wide support among moderate voters. The National Alliance broke from the neofascist Italian Social Movement. A trend toward two large coalitions — one on the center-left and the other on the center-right — emerged from the April 1995 regional elections. For the 1996 national elections, the center-left parties created the Olive Tree coalition while the center right united again under the Freedom Pole. The May 2001 elections ushered into power a refashioned center-right coalition dominated by Berlusconi's party, Forza Italia. The April 2006 elections returned the center-left to power under the eight-party Union coalition, a successor to the Olive Tree. In October 2007, the Democrats of the Left and the Daisy parties officially merged to form the Democratic Party. Veltroni was chosen as party leader and was the center-left's candidate in the April 2008 elections. Silvio Berlusconi launched an alliance between his Forza Italia party and Gianfranco Fini's National Alliance. The parties ran together under the People of Liberty symbol in April 2008. The election greatly simplified parliament, dramatically reducing the numbers of parties, and for the first time since World War II, leaving communist parties out of parliament. People of Liberty (37.4%) won the largest share of the vote and took power in coalition with a strengthened Northern League (8.3%) and the tiny Movement for Autonomy (1.1%). The Democratic Party scored 33.2% and ran in alliance with Italy of Values (4.4%), while the Union of the Center (5.6%) ran alone. In March 2009, Forza Italia and National Alliance changed the People of Liberty identification from an alliance to a party. The mass center-right party, led by Berlusconi, is Italy's largest party and one of the largest in Europe. The Italian economy has changed dramatically since the end of World War II. 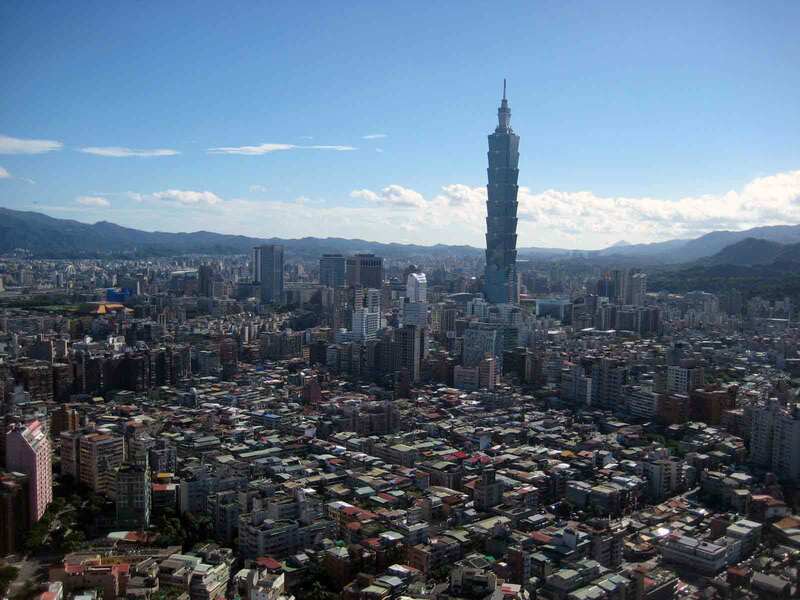 From an agriculturally based economy, it has developed into an industrial state ranked as the world's eighth-largest market economy. Italy belongs to the Group of Eight (G-8) industrialized nations; it is a member of the European Union and the Organization for Economic Cooperation and Development (OECD). Italy has few natural resources. With much land unsuited for farming, Italy is a net food importer. There are no substantial deposits of iron, coal, or oil. Proven natural gas reserves, mainly in the Po Valley and offshore in the Adriatic, constitute the country's most important mineral resource. Most raw materials needed for manufacturing and more than 80% of the country's energy sources are imported. Italy's economic strength is in the processing and the manufacturing of goods, primarily in small and medium-sized family-owned firms. Its major industries are precision machinery, motor vehicles, chemicals, pharmaceuticals, electric goods, tourism, fashion, and clothing. Italy continues to grapple with budget deficits and high public debt. Italy joined the European Monetary Union (EMU) in 1998 by signing the Stability and Growth Pact, and as a condition of this Euro zone membership, Italy must keep its budget deficit beneath a 3% ceiling. The Italian Government has found it difficult to bring the budget deficit down to a level that would allow a rapid decrease of the debt. The worsening economic situation undermined this aim, and the deficit grew well above the 3% ceiling in 2009 and 2010, to 5.4% and 4.5% respectively. Prime Minister Mario Monti has announced plans to balance the budget by 2013 through EU-prescribed austerity measures, including tax increases and spending cuts. 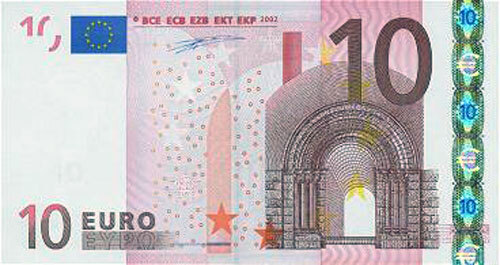 Italy's economic growth averaged only 0.8% in the period 2001-2008. GDP contracted as the Euro zone and world economies slowed, decreasing 1.3% in 2008 and 5.2% in 2009 largely due to the global economic crisis and its impact on exports and domestic demand. GDP recovered only part of the ground lost, growing 1.2% in 2010. In 2011 GDP grew 0.6%. Italy's closest trade ties are with the other countries of the European Union, with whom it conducts about 58.1% of its total trade (2009 data). Italy's largest European Union trade partners, in order of market share, are Germany (12.7%), France (11.6%), Spain (5.7%), and the United Kingdom (5.1%). Italy continues to grapple with the effects of globalization, where certain countries (notably China) have eroded the Italian lower-end industrial product sector. The Italian economy is also affected by a large underground economy. The Italian statistical institute (Istat) estimates that untaxed transactions may amount to €275 billion (about $363 billion), or 18% of GDP, per year. The United States and Italy cooperate closely on major economic issues, including within the G-8. With a large population and a high per capita income, Italy was the United States' 16th-largest trading partner in 2010, with total bilateral trade of $42.7 billion comprised of exports to Italy totaling $14.2 billion and imports from Italy worth $28.5 billion. The U.S.'s $14.3 billion deficit with Italy in 2010 was largely in line with the $14.2 billion deficit registered in 2009. Machinery and aircraft are becoming important U.S. exports to Italy. U.S. foreign direct investment in Italy at the end of 2009 exceeded $28.7 billion. Unemployment is a regional issue in Italy — low in the north, high in the south. Italy's official unemployment rate, 8.5% in 2011, is lower than the EU average. However, experts believe the real unemployment rate — which would count the underemployed and those who have stopped looking for work — has crept up to 11% as a decade of low growth and the slowing world economy have taken their toll. The U.S. Embassy and various economists expect the unemployment rate to remain high in 2012 and 2013. Traditional regional labor market disparities remain unchanged, with the southern third of the country posting a significantly higher unemployment rate compared to northern and central Italy. The overall national rate is at its lowest level since 1992. Chronic problems of inadequate infrastructure, corruption, and organized crime act as disincentives to investment and job creation in the south. A significant underground economy absorbs substantial numbers of people who work for low wages and without standard social benefits and protections. Women and youth have significantly higher rates of unemployment than men. Italy's agriculture is typical of the division between the agricultures of the northern and southern countries of the European Union. The northern part of Italy produces primarily grains, sugar beets, soybeans, meat, and dairy products, while the south specializes in fruits, vegetables, olive oil, wine, and durum wheat. Even though much of its mountainous terrain is unsuitable for farming, Italy has a large work force (1.4 million) employed in farming. Most farms are small, with the average size being only seven hectares (about 17 acres). 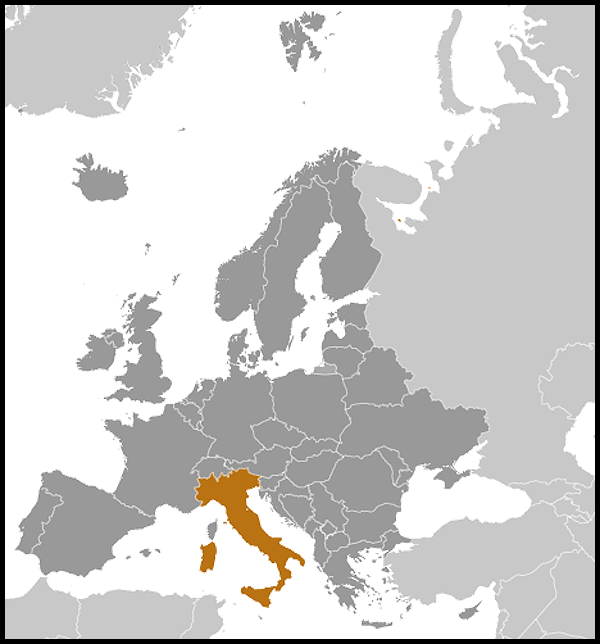 For further economic and commercial information, please refer to the Country Commercial Guide (http://www.export.gov/mrktresearch/index.asp) for Italy. Italy was a founding member of the European Community — now the European Union (EU). Italy was admitted to the United Nations in 1955 and is a member and strong supporter of the North Atlantic Treaty Organization (NATO), the Organization for Economic Cooperation and Development (OECD), the General Agreement on Tariffs and Trade/World Trade Organization (GATT/WTO), the Organization for Security and Cooperation in Europe (OSCE), and the Council of Europe. It chaired the CSCE (the forerunner of the OSCE) in 1994; the EU from July to December 1990, January to June 1996, and July to December 2003; and the G-8 in 2001 and in 2009. Italy served a 2-year term on the UN Security Council in 2007-2008. Italy firmly supports the United Nations and its international security activities. Italy is leading the UN mission in Lebanon (UNIFIL) and has actively participated in and deployed troops in support of UN peacekeeping missions in Somalia, Mozambique, and Timor-Leste. It has provided critical support for NATO and EU operations in Libya, Afghanistan, Bosnia, Kosovo, Albania, Georgia, and Chad. Italy, under NATO's ISAF, maintains a Provincial Reconstruction Team in the western Afghanistan province of Herat, commands RC-West, and maintains a Carabinieri police training center. Italy has supported reconstruction and development assistance to the Iraqi people through humanitarian workers and other officials, particularly in Dhi Qar Province, and was a leading contributor to the NATO Training Mission-Iraq, with approximately 70 military personnel and Carabinieri police trainers. Currently almost 6,500 Italian troops are deployed, including approximately 550 in Kosovo, 1,100 in Lebanon as part of UNIFIL, and approximately 4,200 in Afghanistan. The United States enjoys warm and friendly relations with Italy. Italy is a leading partner in counterterrorism efforts. The two are NATO allies and cooperate in the United Nations, in various regional organizations, and bilaterally for peace, prosperity, and security. Italy has worked closely with the United States and others on such issues as NATO and UN operations as well as on assistance to Russia and the New Independent States; Lebanon; Libya; the Middle East peace process; multilateral talks; Somalia and Mozambique peacekeeping; and combating drug trafficking, trafficking in women and children, and terrorism. Under longstanding bilateral agreements flowing from NATO membership, Italy hosts important U.S. military forces at Vicenza and Livorno (army); Aviano (air force); and Sigonella, Gaeta, and Naples — home port for the U.S. Navy Sixth Fleet. The United States has about 11,500 military personnel stationed in Italy. Italy hosts the NATO Defense College in Rome. The U.S. Embassy (http://italy.usembassy.gov/) in Italy is located at Via Veneto 119, Rome (tel. (39)(06) 46741).